Wiz Khalifa and Curren$y have released a new joint project tiled “2009.” The project follows Wiz and Curren$y’s “How Fly” (2009) and their 2013 Live In Concert EP. The project is 14 tracks with features from Ty Dolla Sign and Problem, as well as production by Harry Fraud, DJ Fresh, and Cardo. Stream below. 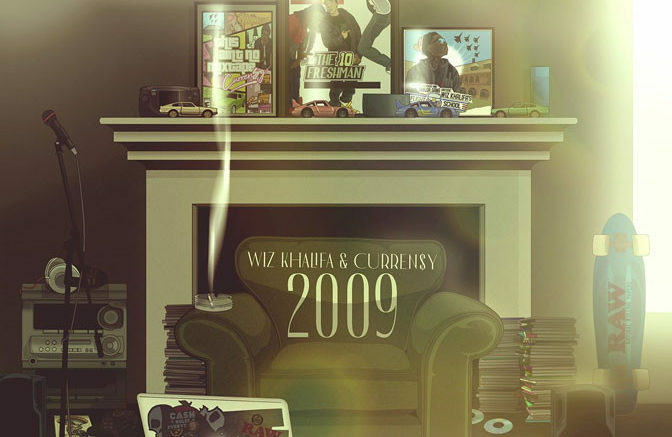 Be the first to comment on "Album Stream: Wiz Khalifa & Curren$y “2009”"